Foreclosure is quicker and easier with a deed of trust. When a borrower takes out a mortgage loan, the lender asks him to sign a mortgage deed or a deed of trust. Both types of deed evidence the debt. Both create a lien on real estate and both typically are recorded in the county records office, which notifies the public about the lien. The main difference relates to foreclosure. In states where deeds of trust are customary, lenders can foreclose without involving the courts. 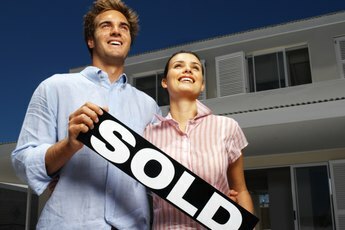 A mortgage is signed by two parties: the borrower and the lender. A trust deed, on the other hand, involves three. Under this latter arrangement, the borrower transfers his title to an independent trustee. A title company, escrow company or the trustee function of the lending bank typically fulfills this function. The trustee holds the title until the loan is paid off, at which point the trustee transfers it back to the borrower. If the borrower defaults -- for example, he falls behind with payments or violates the mortgage conditions -- the trustee can foreclose on the lender's behalf. A lender with a traditional mortgage starts the foreclosure process by filing a lawsuit. The lawsuit describes the debt and asks the court for an order permitting the lender to force a sale of the home. If the lender is successful, the court orders a sheriff's sale. In most states, title goes to the highest bidder. However, the borrower keeps a right of redemption. This allows the borrower to pay off the title holder and take back her title. Depending on where she lives, the borrower may have the right to redeem her home for several years after the sheriff’s sale. A lender that holds a deed of trust can foreclose without going to court using a process called nonjudicial foreclosure. The lender starts the process by issuing a default notice. State law regulates service of the notice and gives the borrower a certain amount of time to bring the loan current, typically around 90 days. If the borrower doesn't fix the delinquency, the property goes straight to auction. The highest bidder wins. If no one else bids, the lender takes title. Generally, the borrower has until the foreclosure sale to bring the loan current and “cure” the default. This stops the foreclosure process. 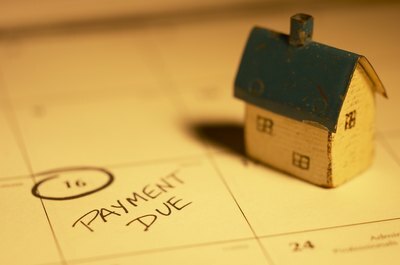 If the borrower disagrees with the default notice, he must file a lawsuit against the lender. Thus, in nonjudicial foreclosure, the onus is on the borrower to begin court action; the foreclosure cannot be stopped in any other way. Once the sale takes place, the borrower has no right of redemption and no second chance to repay the loan. While nonjudicial foreclosure offers the lender a faster, cheaper foreclosure process with a clearer outcome, a lender who uses nonjudicial foreclosure loses her right to a deficiency judgment against the borrower. This means that if the home sells at auction for a lower price than the value of the debt, the lender must write off the deficit. Judicial foreclosure, on the other hand, lets the lender sue the borrower for any shortfall. "If a Second Deed of Trust Is Foreclosed on, What Happens to the First Deed of Trust?" Can a Trustee Change in Foreclosure? What Makes a Deed of Trust Unenforceable? 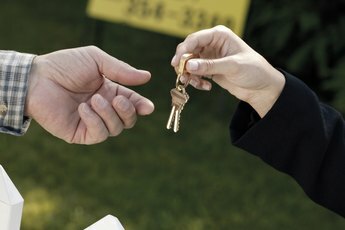 What Happens After a Sheriff's Auction Home Does Not Sell? Who Owns the Deed of Trust? 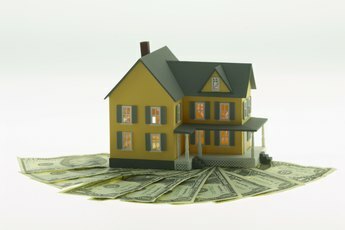 What Is a Lien on the Property That Secures the Promise to Repay a Loan?